IT&T roles today are continuing to expand their converge in the industry. The increasing need for positions that coordinate, integrate, and manage a wide scope of IT resources and activities is becoming more apparent with each new case. With so many IT opportunities arising in China, we have become an exclusive business partner for many companies in Asia covering mid-to-senior level IT recruitment. We specialize in recruiting exceptional IT professionals for businesses across China, with IT&T teams based in Dalian, Shanghai, Beijing, etc. We provide recruitment solutions across a broad range of positions from developers to heads of global businesses, all possessing an array of business skill sets. 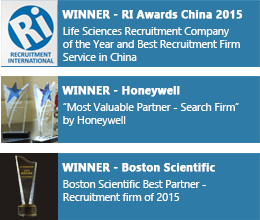 If you are looking for top talent in China, contact ZW HR Consulting today. Our team of specialized consultants would be delighted to discuss how we could help you find the right people. Kick start your job search or hiring process today, send us an email at technology@zwhrconsulting.com.